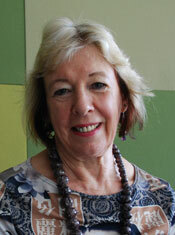 Professor Suzanne Benn is Professor of Sustainable Enterprise in School of Management, UTS Business School. In this position she provides leadership within the Business School and across UTS, working with other disciplinary areas and external stakeholders to promote sustainability. She was previously Professor of Education for Sustainability, Director of ARIES and Head of the Graduate School of the Environment at Macquarie University, Sydney. Suzanne has a background in the sciences and the social sciences. She has had wide experience working across the range of educational sectors and as a research and industrial scientist. Her current research interests range across corporate sustainability and corporate social responsibility, business education for sustainability and organisational change and development for sustainability. Her interdisciplinary academic publications include three books and more than 90 refereed journal articles, book chapters and refereed conference papers. She has led consultancy and research projects on the topic of corporate social responsibility, organisational change and sustainability for a number of Australian organisations. She has also conducted major Australian Research Council grant funded projects on topics such as the communication of corporate social responsibility through social networks, collaboration and governance for sustainability. Professor Benn has modified and taught curriculum on sustainable business at the University of Shanghai, and led the introduction of these programs into the undergraduate and postgraduate curriculum at UTS and at Macquarie. She has a strong interest in interdisciplinary curriculum development and holistic approaches to learning for sustainability. Professor Benn also has a number of PhD students in the area of corporate social responsibility, sustainability and education, learning and change for sustainability. © 2014 Suzanne Benn, Dexter Dunphy and Andrew Griffiths. Since this classic book was first published in 2003, sustainability has increasingly become mainstream business for leading corporations, whilst the topic itself has also been a hotly debated political issue across the globe. The sustainability phase models originally discussed in the book have become more relevant with ever more examples of organizations at later stages in the development of corporate sustainability. Bringing together global issues of ecological sustainability, strategic human resource management, organizational change, corporate social responsibility, leadership and community renewal, this new edition of the book further develops its unified approach to corporate sustainability and its plan of action to bring about corporate change. It integrates new research and brings illustrative case studies up to date to reflect how new approaches affect change and leadership. For the first time, a new positive model of a future sustainable world is included -strengthened by references to the global financial crisis, burgeoning world population numbers and the rise of China. With new case studies including BP's Gulf oil spill and Tokyo Electric Company's nuclear reactor disaster, this new edition will again be core reading for students and researchers of sustainability and business, organizational change and corporate social responsibility. Since this classic book was first published in 2003, sustainability has increasingly become mainstream business for leading corporations, whilst the topic itself has also been a hotly debated political issue across the globe. The sustainability phase models originally discussed in the book have become more relevant with ever more examples of organizations at later stages in the development of corporate sustainability. Bringing together global issues of ecological sustainability, strategic human resource management, organizational change, corporate social responsibility, leadership and community renewal, this new edition of the book further develops its unified approach to corporate sustainability and its plan of action to bring about corporate change. It integrates new research and brings illustrative case studies up to date to reflect how new approaches affect change and leadership. For the first time, a new positive model of a future sustainable world is included - strengthened by references to the global financial crisis, burgeoning world population numbers and the rise of China. With new case studies including BP's Gulf oil spill and Tokyo Electric Company's nuclear reactor disaster, this new edition will again be core reading for students and researchers of sustainability and business, organizational change and corporate social responsibility. Benn, SH & Bolton, D 2011, Key Concepts of Corporate Social Responsibility, 1, Sage, United Kingdom. Introducing the key concepts in corporate social responsibility, Suzanne Benn brings together the essential issues relevant to the responsible management of businesses, not-for-profit organizations and government. With detailed coverage and cross-referencing for each concept and over 50 concepts introduced, this guide to both the theory and implementation of CSR and sustainability, provides an indispensable reference for any student of the subject. Dunphy, D.C., Griffiths, A.B. & Benn, S.H. 2007, Organizational Change for Corporate Sustainability, 2, Routledge, London, UK. cultures to advance sustainability management. – The purpose of this paper is to explore the role of specific human resource management (HRM) practices in the implementation of environmental initiatives in terms of their impact on employee attitudes to the organization and to its environmental programme. – The study used a mixed method approach comprising a survey of 675 employees and 16 semi-structured interviews undertaken across two organizations. – Survey data, analysed using path analysis, showed that participation in environmental initiatives is directly associated with higher levels of employee engagement with the organization, higher rating of their organization's environmental performance, and lower intention to quit. The qualitative study supports the quantitative data, also highlighting other aspects of environmental initiatives that may affect employee attitudes. – Future study should either collect longitudinal data or rely on data collected from two waves of data collection. Objective performance data should also be collected in order to better understand the causal effect of HRM on environmental performance. – Our findings have implications for the business case for sustainability, providing some evidence that implementing environmental initiatives with HRM support may not only motivate staff around environmental programmes but may provide wider benefits for organizations in terms of overall job satisfaction and employee retention. – Successful implementation of environmental management initiatives have both organizational and employee level outcomes. Employees who were more aligned with their organizational environmental objectives were found to be more engaged and less likely to quit. Sustainable procurement and supply chain management studies are growing; however several scholars have criticised the lack of theoretical development accompanying this literature. Sustainable procurement and supply chain management activities form part of an organisation's path to adopt sustainability. Some scholars have suggested examining the application of management theories to describe the introduction of corporate sustainability to address this gap. Institutional theory is frequently used to describe how new practices are adopted in organisations and has also been applied to several corporate social responsibility studies. This conceptual paper examines the applicability of institutional theory to describe the adoption of sustainable procurement and concludes by presenting three theoretical propositions to explain sustainable procurement adoption. Many studies report that it is difficult to sustain change. This article focuses on how an organization can initiate and sustain a continuous change process. A theoretical model is proposed as a fusion of two previous models for evaluating the sustainability of a change programme; the first is based on analysing stakeholder interest balance as a prerequisite for organizational sustainability, the second on analysing the design of the implementation, indicating whether long-term effects will be achieved. It is argued that the combination of these factors provides a more comprehensive perspective, since it allows us to evaluate both the `form and the `direction of the programme. To assess stakeholder interest balance, the goal for the change programme is analysed, utilizing the broad stakeholder interest balance perspective. To assess the design of the implementation, four preconditions for long-term effects should be analysed: management's ownership of the change initiative, professional steering, competent leadership and participation. Reference is given to the management concept Lean Production, which is claimed to engage the organization in continuous change. Application of the model highlights the mismatch between narrowly focused change programmes such as Lean Production and sustainable change. Benn, SH & Kramar, R 2011, 'Introduction and Interviews', Journal of Management & Organization, vol. 17, no. 3, pp. 574-582. This paper adapts and extends the technological community perspective (e.g., Van de Ven, 1993), to analyze the findings of a research project funded by the Australian Government, conducted by the Australian Research Institute in Education for Sustainability (ARIES), and supported by Macquarie University. Study participants included project teams from five Australian business schools who collaborated with selected business or industry partners for the purpose of: 1) integrating sustainability into business school curricula and pedagogy; 2) implementing or enhancing sustainability by industry collaborators, in the form of corporate policies and practices; and 3) fostering new and stronger partnerships-including knowledge sharing--between and among corporations and business schools. The technological community perspective, which is particularly well-suited to examining this innovative education for sustainability project, is a theoretical framework that examines evolution of innovation at the community level; this includes multiple internal and external stakeholders, and is beyond the more traditional uni-dimensional focus on organization or industry levels. This approach can provide lessons with respect to complex and dynamic interactions between and among multiple stakeholders responsible for successful development and dissemination of sustainability in business schools, corporations, and beyond. Hence, this paper addresses issues raised in the call for papers for the special issue of Journal of Management and Organizations, "Educating for Sustainability and CSR: What is the role of business schools?" The paper addresses the questions: 1) What are the barriers for business schools with respect to integrating sustainability in the curricula; 2) What role do partnerships play? ; and 3) What role is there for communities of practice? Benn, S & Kramar, R 2011, 'Editorial: Introduction and Interviews', Journal of Management and Organization, vol. 17, no. 5, pp. 574-582. We explore the organizational learning and change mechanisms that can assist holistic understandings of sustainability knowledge and practice to be shared across the university and other sectors of society. Our qualitative study describes the experience of a Chinese university in employing structural and visionary boundary objects that produced profound sustainability-related innovations. We argue that experience provides a pointed lesson in how universities and their business schools may engage with wider society in order to further share understandings of sustainability. This paper examines the antecedents of felt trust, an under-explored area in the trust literature. We hypothesized that subordinates felt trust would relate positively with their leaders moral leadership behaviors and negatively with autocratic leadership behaviors and demographic differences between leaders and themselves. We also hypothesized the above relationships to be mediated by the leader-member value congruence. Results supported our hypotheses that value congruence mediated between autocratic leadership behaviors and demographic differences and subordinates felt trust, but not moral leadership behaviors, which had direct effects on subordinates perception of feeling trusted. Theoretical and practical implications are discussed. We offer a collection of research papers about risk and governance, based on a longitudinal case study of a controversial environmental dispute concerning the disposal of the world's largest stockpile of the highly toxic organochlorine waste, hexachlorobenzene (HCB). The Stockholm Treaty on Persistent Organic Pollutants places requirements on governments, industry and communities. The case study explores implications of this treaty, and has relevance for world-wide attempts to responsibly approach industrial legacy issues. The stockpile is currently stored in a specially constructed facility in the grounds of the industrial park managed by Orica Pty Ltd, previously ICI Ltd, in a mixed industry and residential area on the shores of Botany Bay, Sydney, Australia's largest city. In an exploration of governance issues, the HCB controversy has major implications for the theory and practice of the communication and management of environmental risk, for corporate legitimacy and accountability and for environmental justice. Disputes concerning industrial legacies such as the disposal of toxic wastes illustrate changing pressures on corporations and governments. Business and governments are now confronted with managing the expectations of a society increasingly aware of the social and environmental impacts and risks associated with economic development and demanding more equitable distribution and democratic management of such risks. The closed managerialist decision-making of the powerful bureaucracies and corporations of the industrial era is informed by traditional management theory which cannot provide a framework for the adequate governance of these risks. Recent socio-political theories have conceptualised some key themes that must be addressed in a more fitting approach to governance. We identify more recent management and governance theory which addresses these themes and develop a process-based approach to governance of environmental disputes that allows for the evolving nature of stakeholder relations in a highly complex multiple stakeholder arena. Key concepts of Risk Society as elaborated by Ulrich Beck and others (Beck, U., 1992 (trans. Mark Ritter). The Risk Society. Sage Publications, London. Beck, U., 1995, Ecological Politics in the Age of Risk. Polity Press, Cambridge. Beck, U., 1999, World Risk Society. Polity Press, Cambridge. Giddens, A., 1994, Beyond Left and Right. Polity Press, Oxford. Beck, U., Giddens, A. and Lash, S., 1994, Reflexive Modernisation: Politics, Tradition and Aesthetics in the Modern Social Order. Stanford University Press, Stanford. Beck, U., Bonss, W. and Lau, C., 2003, Theory, Culture & Society 2003, Sage, London, 20(2), pp. 1-33.) are illuminated though a case study of managed environmental risk, namely the hexachlorobenzene (HCB) controversy at Botany, a southeast suburb of Sydney. We observe the way Multiple stakeholder decision-making plays out a number of Risk Society themes, including the emergence of 'unbounded risk'and of highly 'individualised' and 'reflexive' risk communities. Across several decades, the events of the HCB story support Risk Society predictions of legitimacy problems faced by corporations as they harness technoscientific support for innovation in their products and industrial processes without due recognition of social and environmental risk. Tensions involving identity, trust and access to expert knowledge advance our understanding of democratic 'sub-political' decision-making and ways of distributing environmental risk. This article addresses the problem of how change and innovation can create a fuller voice for ecological interests in organizations and public policy, raising issues about change mechanisms at the institutional versus organizational level. First, it suggests that the newer, systems-based and inclusive approaches to organizational development practice and theory may overcome shortcomings of earlier approaches to planned change. Second, it argues that co-evolutionary approaches that use complex adaptive systems thinking will more effectively structure such third-generation interventions by focusing on issues at the institutional level. Third, the article examines a dialectical model of institutional change which incorporates activist input and channels conflict into innovative outcomes. Finally, it presents a case example of how a dialectical model combined with a co-evolutionary perspective could foster the institutional change required to facilitate the integration of ecological priorities into the human systems of organisations. This paper examines almost 30 years of disputation concerning the disposal of the world's largest stockpile of the toxic organochlorine, hexachlorbenzene. It describes the study of a chemicals company in its attempt to manage the disposal of the toxic waste in a collaborative fashion with government, environmentalists and the local community. The study describes the new processes and structures specifically designed to address the decision-making and the issues of stakeholder perception and identity construction which have influenced the outcomes. Decision-making in such disputes is often theorized from the perspective of the emergence of highly individualized and reflexive risk communities and changing modes and expectations of corporate responsibility as a result of detraditionalization. We argue that the stakeholder interaction in this study reflects competing discourses in which corporate actors prioritize the building and maintaining of identity and symbolic capital rather than an active collaboration to solve the ongoing issue of the waste. As well, issues of access to expert knowledge highlight the relationship between conditions Of uncertainty, technoscientific expertise and identity. The events of the Study highlight the challenges faced by contemporary technoscientific corporations such as chemicals companies as they must deliver on requirements of transparency and openness. while maintaining technoscientific capacity and strong internal identity. We conclude that the study demonstrates the co-existence of social processes of individualization and detraditionalization with quasitraditions which maintain authority, thus challenging the radical distinctions made in the literature between modernity and late or reflexive modernity. This article reports on an exploratory project that employed an action research approach to integrating sustainability into core subjects in the MBA program at an Australian university. It documents the change methodology used, the theoretical basis for this choice, and the project outcomes. It then identifies some key enabling factors and barriers to successful integration of sustainability themes into the MBA. The article also draws on theories of organizational change to illustrate the strengths and limitations of the approach used in this study compared to other possible approaches. Key success factors included active faculty participation from the redesign process to evaluation and collaboration between multiple stakeholders. © 2009 Organizational Behavior Teaching Society. This paper analyses the strategic response by HP Australia to these global challenges for business and for wider society. This article explores the processes of change that enable corporations to move towards sustainable practices, focusing on the human resource and business strategies that support rather than diminish global ecology and human/social capabilities. We argue that this unified approach is necessary to bring about a change in the interpretation of corporate sustainability and to support the activities of change agents (managers, consultants, and community activists) in managing the massive corporate change needed to move corporations toward sustainable practices in a systematic way. We propose a schema in the form of an integrated phase model for understanding how corporations move from compliance modes to the attainment of strategic sustainability and beyond to the 'ideal' or sustaining corporation. We discuss the leadership of change and the roles and strategies that corporate change agents can employ to bring about both incremental and tramformational change for sustainability. Benn, S.H. & Dunphy, D.C. 2005, 'Towards new forms of governance for issues of sustainability: renewing relationships between corporates, government and community', Electronic Journal of Radical Organisation Theory, vol. 9, no. 1, pp. 1-29. Benn, SH & Dunphy, DC 2004, 'A case study in strategic sustainability: Fuji Xerox Eco Manufacturing Centre', Innovation: Management, Policy and Practice: an International Journal for Innovation Research, Commercialization, Policy Analysis and Best Practice, vol. 6, no. 2, pp. 258-268. Dunphy, D.C., Griffiths, A.B. & Benn, S.H. 2003, 'Building corporate sustainability', Australian Institute of Training and Development Journal, vol. 30, no. 2, pp. 20-23. Benn, SH 1996, 'The History Of The Environmentally Hazardous Chemicals Act 1985, New South Wales, Australia Report On Policy Reform Concerning Toxic Chemicals', Ambio, vol. 25, no. 7, pp. 475-477. Benn, S & Edwards, M 2019, 'Corporate Sustainability in a Fragile Planet' in Clarke, T, O'Brien, J & O'Reilly, C (eds), The Oxford Handbook of the Corporation, Oxford University Press, Oxford, pp. 641-666.
to reflect on progress attained toward embedding sustainability in higher education curriculum. deliberated across the academe of sustainability management scholars. The UN's successive International Panel on Climate Change Reports show the immediacy of the ecological crisis facing the planet (Flannery, 2010). Global climate change is not something that will affect future generations; it is already affecting our own generation as Arctic ice and permafrost melt, seas become more acidic, desertification intensifies and extreme weather conditions increase in number and intensity. In addition, the limitations of known oil reserves (peak oil) combined with increasing demand for oil from India, China and South-East Asia will increasingly threaten established oil-based patterns of human interaction such as cheap land and air transport as well as oil-based food production. These problems will be further exacerbated by a growing global population. The developed economies therefore need to move from their current extreme dependence on fossil fuels (the carbon economy) and substitute energy produced from alternative energy sources (the carbon-neutral economy). How are we doing on achieving this goal? We have recently seen at the UN's Copenhagen Climate summit that political leaders were high on rhetoric before the summit but failed to achieve effective international collaboration on actions to halt and/or reverse climate change. As a result, emissions in all nations are increasing and we face a growing world food crisis. This chapter illustrates a novel approach to using boundary objects (BOs) as change agents. In particular, the chapter illustrates how tools from stages of the human resources management (HRM) process can be used as BOs in order to facilitate changes necessary to create and maintain more sustainable organisations. BOs, which are discussed in greater detail below, can translate, transfer and! or create knowledge across diverse boundaries or groups of stakeholders. In organisations, ~Os can translate, transfer and!or create knowledge between and among functions, departments and other groups, This chapter illustrates how knowledge about sustainability can be translated, transferred and! or created between and among all organisational functions by using HRM tools as BOs. It builds on arguments made by other scholars (e.g. Jabbour and Santos 2008) that the HR function should be integrated with organisational sustainability by formulating HRM policies and practices that stimulate the social, economic and environmental strategies of the organisation. It also builds on earlier work analYSing the role of BOs in generating and supporting organisational change (Oswick and Robertson 2009), and on the role ofBOs in underpinning the formation of a community of practice around sustainability (Benn and Martin 2010). Sustainability is both a contested concept and a social movement of our time. It has different meanings for different people, and is used in a wide variety of contexts, not least in relation to organizations including business. Sustainability is increasingly tied to other concepts such as corporate accountability, responsibility and citizenship. These concepts direct attention to the implication of organizations in wider environmental, social and political as well as economic systems. Business, in particular, is positioned as a key source o f problems relating to global unsustainability, and managers of all types of organizations are being tasked with the resolution of such problems. Sustainability is both a contested concept and a social movement of our time. It has different meanings for different people, and is used in a wide variety of contexts, not least in relation to organizations including business. Sustainability is increasingly tied to other concepts such as corporate accountability, responsibility and citizenship. These concepts direct attention to the implication of organizations in wider environmental, social and political as well as economic systems. Business, in particular, is positioned as a key source of problems relating to global unsustainability, and managers of all types of organizations are being tasked with the resolution of such problems. Corporate governance refers to the mechanisms and frameworks necessary for corporate decision-making. From the perspective of corporate sustainability and corporate social responsibility (CSR), however, governance refers to managing competing corporate interests for the organisation, for the wider good of society, and for the planet as a whole (Benn & Bolton, 2011). Despite the recent financial crisis, there is evidence that many senior managers continue to perceive good governance, CSR and corporate sustainability as fundamental to the long-term successful operations of any organisation. In the recent 13th Annual Global chief executive officer (CEO) survey by Pricewaterhouse Coopers, for example, more CEOs raised climate change investment during the crisis than reduced it and more than two-thirds thought such strategies would confer reputational advantages. Chelliah, J & Benn, SH 2011, 'Hewlett Packard's Supply Chain' in Benn, S, Dexter, D & Perrot, P (eds), Cases in corporate sustainability and change, Tilde University Press, Australia, pp. 42-47. Hewlett Packard (HP) is a technology solutions provider to consumers, businesses and institutions globally. It has products and services that span IT infrastructure, personal computing and access devices, global services and imaging, as well as printing for consumers, enterprises and small and medium businesses. This case focuses on HP as a global company and associate& global supply chain issues. Today humankind faces two major crises. The first is the global financial crisis that began in 2008. The second is ecological and has been slowly building since the industrial revolution. The ecological crisis is now gaining momentum as we witness the meltdown of the world's glaciers and a range of related issues such as widespread weather volatility, desertification and food shortages. The two crises are intimately related. In the words of leading ecologist Tim Flannery: 'We have become the 'future eaters', living beyond the earth's ability to replace the resources we consume'. As a consequence, there is a need for up-to-date, relevant course materials-and particularly case studies-addressing the challenges ahead. Corporate sustainability is increasingly central to strategy in modern businesses. Learning about sustainability lends itself to the use of case studies because: (1) case studies demonstrate that sustainability is not some fantasy but a business imperative; (2) sustainability issues do not come in neat packages but cut across the traditional academic disciplines; and (3) case studies allow the relevance of theories to be tested. As the title of this book indicates, the primary emphasis is on corporate sustainability but an emphasis has also been placed on corporate change. Sustainability will not be achieved through technological fixes alo? corporate culture needs to change also. Today humankind faces two major crises. The first is the global financial crisis which began in 2008. The second is ecological and has been slowly building since the industrial revolution. The ecological crisis is now gaining momentum as we witness the meltdown of the worlds glaciers and a range of related issues such as widespread weather volatility, desertification and food shortages. The two crises are intimately related. In the words of leading ecologist Tim Flannery: `We have become the `future eaters, living beyond the earths ability to replace the resources we consume. As a consequence, there is a need for up-to-date, relevant course materialsand particularly case studiesaddressing the challenges ahead. Cases in Corporate Sustainability and Change: A Multidisciplinary Approach includes Australian and New Zealand as well as international cases. Corporate sustainability is increasingly central to strategy in modern businesses. Learning about sustainability lends itself to the use of case studies because: (1) case studies demonstrate that sustainability is not some fantasy but a business imperative; (2) sustainability issues do not come in neat packages but cut across the traditional academic disciplines; and (3) case studies allow the relevance of theories to be tested. As the title of this book indicates, the primary emphasis is on corporate sustainability but an emphasis has also been placed on corporate change. Sustainability will not be achieved through technological fixes alone; corporate culture needs to change also. Benn, S.H. 2008, 'Sustainable Development' in Clegg, S. & Bailey, J. (eds), The International Encyclopedia of Organization Studies, Thousand Oaks, CA: Sage, Portland, OR, pp. 1491-1495. Benn, SH & Dunphy, DC 2007, 'Introduction' in Benn, S & Dunphy, D (eds), Corporate Governance and Sustainability: Challenges for Theory and Practice, Routledge, London, UK, pp. 1-5. In this chapter we explore, both theoretica lly and empirically, how the relationship between political systems and corporate governance practices can be used to progress corporate sustainability. We argue that corporate sustainabil ity is facili tated by ' total responsibility management ' , as outlined by Waddock et al. (2002). Waddock et al. 2002 argue that corporate sustainability requires internal corporate governance to move beyond compliance to the holistic approach of 'total responsibil ity management' . In this chapter we propose an integrated perspective on organizational change, which is designed to progress the corporation to a position of both human and ecological sustainability. Human sustainability is defined here as the development and fulfilment of human needs whilst ecological sustainability is the protection and renewal of the biosphere. The chapter defines key steps along the way to this organization of the future and explains ways of achieving an incremental or, in some cases, a transformative transition to the fully sustainable and sustaining corporation. Case studies of both incremental and transformative change are also provided to illustrate how organizations have moved toward ecological sustainability through the development of their human sustainability. Benn, S.H., Griffiths, A.B. & Dunphy, D.C. 2005, 'Changing corporate culture to an environmental ethos' in Staib, R. (ed), Environmental Management and Decision Making for Business, Palgrave, Hampshire, UK, pp. 180-191. Griffiths, A.B., Benn, S.H. & Dunphy, D.C. 2005, 'Organisational structures and roles' in Staib, R. (ed), Environmental Management and Decision Making for Business, Palgrave, Hampshire, UK, pp. 169-179. Dunphy, D.C., Benn, S.H. & Perrott, B. 2010, 'Building sustainability knowledge through the case study method', Australian and New Zealand Academy of Management Conference, Adelaide, Australia. This paper presents results of a case study that explores the response of Australian printing firms to social concerns about the impact of industrial activity on the natural environment. The study draws upon both qualitative and quantitative approaches to characterize the response and identify drivers of change. The paper positions the research outcomes within the framework of ecological modernization theory, providing new insights into this theory concerning its applicability to SMEs in a specific industry sector. This case study explores the supply chain management strategies of Hewlett Packard Australia.(HP). At the heart of HP's supply chain strategy is sustainability. HP sees itself as a socially responsible organisation and therefore pursuing sustainable supply chain practices are seen as an integral part of achieving the social responsibility. HP proactively seeks to use its sustainable supply chain practices as a competitive tool so as to improve its image among stakeholders as a good global citizen. HP runs an ambitious program of asset recovering centred on recycling as part of its supply chain and encourages both suppliers and customers to become part of its sustainability program. The importance of socially responsible purchasing continues to grow. However there is limited work that considers high involvement purchasing and the importance of social relationships in building attitudes and guiding behavior in this context. This paper presents findings that consider these issues. Social relationships are found to be an important factor in responsible purchasing however these effects often are not consciously recognized by consumers. The paper concludes by considering the need for research methods to uncover the importance of social relations. Benn, S.H. & Martin, A. 2008, 'Governance, technoscience and sub-politics: an exploratory study of ecological modernization in China', Academy of Management Conference, Anaheim. Benn, S.H. & Baker, E. 2008, 'Reviewing the relationship between human and ecological sustainability: re-conceptualising as co-evolutionary', Anaheim. While numerous writers have argued in general terms about the principles of Corporate Social Responsibility (CSR) and sustainability management (e.g. Dunphy, Griffiths and Benn 2003, 2007) there has been little empirical exploration of these highly generalised prescriptions. We explore a framework for the management and implementation of CSR and sustainability developed by leading scholars Waddock and Bodwell (2007). Waddock and Bodwells (2007) Total Responsibility Management (TRM) model implies that TRM begins with inspiration, gains strength with integration and stays relevant with constant innovation. Using data from two corporations with strong performances according to CSR and sustainability assessment mechanisms such as the Dow Jones Sustainability Index, we aim to identify examples of the management practices and processes associated with inspiration, integration and innovation. We conclude that there is clear evidence that inspiration and integration systems of TRM are associated with the successful implementation of CSR and sustainability. Innovation may be another factor in the implementation of CSR but this may be more important in some industry sectors than others. Benn, S.H. & Teo, S.T. 2007, 'Social Entrpreneaurship', Academy of Management - Doing well by doing good, Academy of Management, Philadelphia, pp. 1-37. Grob, S.M. & Benn, S.H. 2005, 'Promulgating sustainability through sustainable purchasing: the role of alliances and networks', APROS 11: Asia-Pacific Researchers in Organisation Studies 11th International Colloquium Proceedings, Asia-Pacific Researchers in Organisation Studies 11th International Colloquium, Asia-Pacific Researchers in Organisation Studies, Melbourne, Australia, pp. 341-351. This paper is an exploration of the collaborations and networks that facilitate sustainable procurement in Australia. At present organizations across all sectors are entering into collaborative arrangements which have the potential to reduce resource consumption and deliver social benefits. Many of these relationships focus on reducing the environmental impact of product at end-of-life and may involve redistribution of products in order to rebirth products. This paper explores the reconceptualising of redundant products as sustainable procurement. In effect, these alliances assist in the implementation of a form of extended producer responsibility (EPR). This is of particular importance in Australia as, unlike Europe and Japan, there is no overarching legislation to ensure EPR. Alliances can address this gap in sustainable manufacturing. The paper explores the motives behind the formation of these alliances and the conditions that facilitate their successful outcomes in terms of the triple bottom line. Benn, S.H., Dunphy, D.C. & Ross-Smith, A.E. 2006, 'Integrating the elements of corporate sustainability. ', Sustainability Conference 2006 - The Second International Conference on Environmental, Cultural, Economic and Social Sustainability, Hanoi, Vietnam. Benn, S.H. & Berry, T. 2005, 'Governance requiremments of inter-organisational sustainability domains: new models and democrastising deliberation', Engaging the Multiple Contexts of Management: Convergence and Divergence of Management Theory and Practice - Proceedings of the 19th ANZAM Conference, Australian and New Zealand Academy of Management Conference, ANZAM, Canberra, Australia, pp. 1-18. Benn, S.H. & Jones, R. 2005, 'Symbolic capital and stakeholder disputes: The nature and role of trust in a 'risk society'', Engaging the Multiple Contexts of Management: Convergence and Divergence of Management Theory and Practice - Proceedings of the 19th ANZAM Conference, Australian and New Zealand Academy of Management Conference, ANZAM, Canberra, Australia, pp. 1-18. Benn, S.H. & Dunphy, D.C. 2003, 'Human and ecological factors: a systematic approach to corporate sustainability. ', Sustainability and Social Science: Round Table Proceedings, Sustainability and Social Science: Round Table Proceedings, ISF and CSIRO Minerals, Sydney, Australia, pp. 95-123. Research report summarising key outcomes and recommendations for Sharing Sustainability Education within a National Community of Practice. Giurco, D & Benn, S 2014, 'Explainer: what is the circular economy?'. Benn, S.H. & Dunphy, D.C. 2002, 'Corporate sustainability: a case study, Fuji Xerox Eco Manufacturing Centre'.